Nepali Congress leader Ram Chandra Paudel at a function in Butwal, on Tuesday, January 22, 2019. Nepali Congress senior leader Ram Chandra Paudel has said the people are disappointed by the government’s performance. 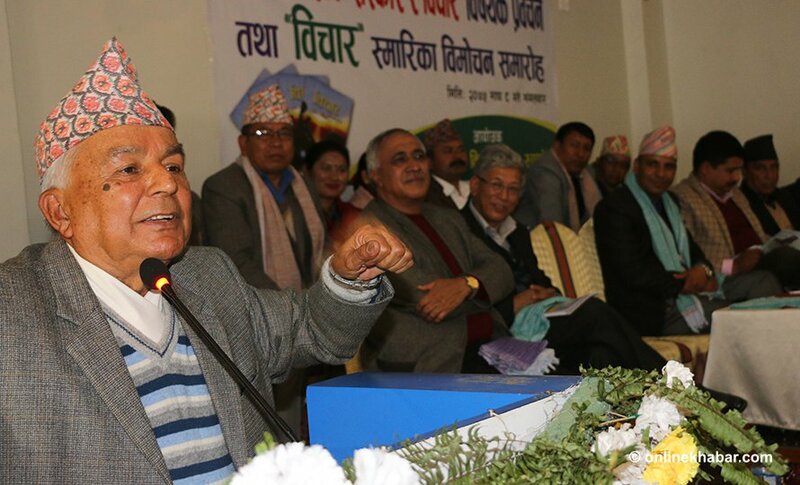 Speaking at a press meet organised by the Chitwan chapter of Nepal Press Union here today, leader Paudel said people’s expectations from the two-thirds majority communist government had been turned into disappointments. He accused the government of losing pace. “The government activities have neither pace nor are they in accordance with the rule of law.” According to him, the main opposition is putting a close watch on the government’s activities. On a different note, he shared his views that the party’s central committee office bearers and members should come after being elected from the ward level and it was the decision of the recent mahasamiti meeting as well. He demanded that the party immediately take a decision about Nepal Students Union as its president recently resigned from the post.